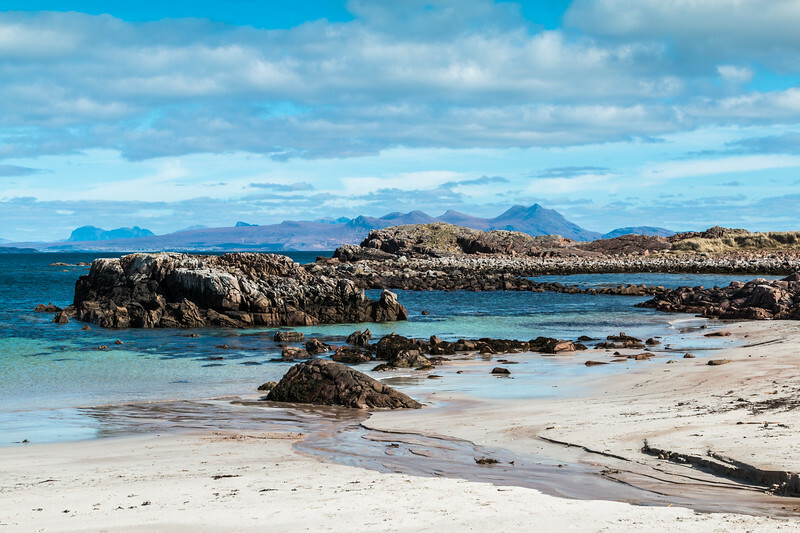 A small remote beach in the Scottish Highlands. Mellon Udrigle beach is an absolute stunner. Visually the you would be hardpressed to beat this however the problem is the weather. On a good day, and this was a good day, the wind will blow and the temp will barely hit 15 deg C.